Thank you they are beautiful, I'm sure the recipient will love them. Cheer them up - Send Flowers to brighten their day! Got a friend who's feeling a little down? 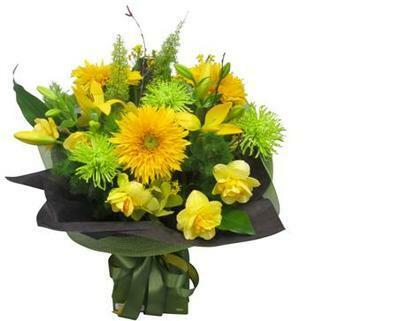 We can deliver a cheer up bunch of bright, happy flowers to say "I'm thinking of you", Cheer Up, Good Luck, Smile! Popular choices are Sunflowers, Gerberas, and other colourful bunches of flowers. Another alternative is to send a bright flowering pot plant which are another popular gift, when you want to send a little something to a friend to show you care. We have smiley face balloons, thinking of you balloons, you're so special balloons to add to your thoughtful gift, and butterflies or chocolate hearts as the finishing touch to cheer someone up.